Perfectly Perrywinkle: Welcome to the Mother Ship! 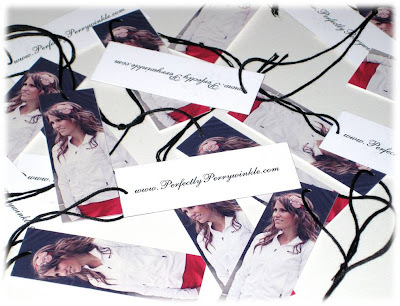 I really love my crafty friends.....So much, that I put them on my merchandise tags! If you haven't met Tessa yet, then you must be NEW to my blog! WELCOME! I sound like an extra terrestrial creature, welcoming a new species onto our Mother Ship! It kinda is a different planet in my house...I am far from normal (and noone in my family is normal either) If you follow my sisters blog, Lil Blue Boo, then you have probably already gathered this! Anyway, Tessa (from "I love my crafty friends" and "Tales from Titleless Tess") keeps promising me through text messages, that she is definitely coming over for another arts and crafts day, but I will believe it when I see it, haha! She will be in for a big surprise when she sees her face dangling from all of the new Perfectly Perrywinkle Sport headbands (well, golf and tennis......and YES, golf is a sport contrary to what many have tried to tell me, haha!) I've been blessed with so many talented and genuine friends, who can accept that I only eat cheddar goldfish, hot tamales, rice krispy treats, and diet pepsi; only listen to the same 3 songs over and over again on repeat and never get tired of hearing them, and know not to talk out loud when Celebrity Apprentice is on bc if I miss a word, I will rewind it!! They've all been so supportive and receptive to my blog, hobbies, and exponentially growing list of ideas that I bug them with everyday.. Because they are all so talented, I've then forced them to model, glue, cut, fold, promote, blog, sing, dance, paint, assemble, cook, clean, tape, staple, hole punch, sew....Gotcha!! I have room for more friends if there are any takers?? JK. We even have training sessions for the TV Show, "Minute to Win It" (I'm an expert at the "Extreme Hanky Panky" (better known as the tissue pull), "Face the Cookie" and the "Dizzy Mummy" We might have to post a training session video one of these days! My friends are all so so talented and my goal one day is to make enough money to hire them all full-time! When that happens, my little Perfectly Perrywinkle headquarters will be the most wonderful place on earth (well, one of them at least!) I just wanted to say THANK YOU to all my friends who only want to see me succeed and never ask for anything in return! Tessa, Chris, Michelle, Jamie, Jenna, Nidhie, Jill, June, Kim, Carol, Ashley, Jenny, Jennifer and most of ALL, my wonderful husband...for putting up with all this "overly girly" stuff always taking over our house! And girls, don't be shocked if your picture shows up on one of my merchandise tags one of these days! hahaa.. Love you all so much!